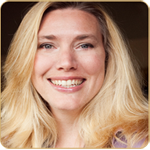 Kajsa Brimdyr, PhD, CLC is an experienced ethnographer and international expert in implementing skin to skin in the first hour after birth. She has worked in the United States, Sweden and Egypt helping hospitals to understand and appreciate their work practice and to implement continuous, uninterrupted skin to skin in the first hour after birth. She, along with Ann-Marie Widström and Kristin Svensson, are the producers of the DVD Skin to Skin in the First Hour after Birth: Practical Advice for Staff after Vaginal and Cesarean Birth. Her newest DVD is aimed at parents - The Magical Hour: Holding Your Baby for the First Hour After Birth. Dr. Brimdyr is available to speak at conferences. Please call 508-888-8044 for more information. 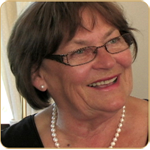 Ann-Marie Widström, RN, MTD, Doctor of Medical Science was instrumental in developing the developmental expectations relating to self-attachment of the newborn in the first hour after birth, as shown in her video The Baby's Choice. She has conducted the foundation research that forms the basis of the 9 stages, and has been instrumental in the research that documents the importance of continuous, uninterrupted skin to skin contact in the first hour after birth. She is an associate professor at the Karolinska Institute in Stockholm, Sweden. Lars Åke Hanson, MD, PhD is the author of the book Immunobiology of Human Milk: How Breastfeeding Protects Babies. He has worked in bacteriology at University of Gothenburg, Sweden, and pediatrics at Karolinska Institute, Stockholm, Sweden. 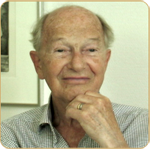 Working for more than 40 years in the field, he is the author of numerous research articles. Dr. Hanson has a wealth of knowledge about the protective elements of breast milk.